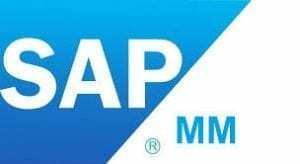 Our end client based in Bern, Switzerland, is searching for an SAP MM Consultant to join their in-house team. This is a fantastic company to work for where home office and flexible working hours are the norm and they invest heavily in their staff to train them up in SAP ARIBA. In this role you will work in an SAP environment that actively contributes to the success of their in-house customers with its innovative solutions. As a module consultant specializing in processes and functionalities in the SAP purchasing platform Ariba and their integration into SAP ERP MM and FI-AP, you support us in the challenging project to roll out the purchasing platform across the Group and support the operation of the implemented SaaS solution Ariba. With your broad knowledge of purchasing processes and your experience from previous projects, you develop solutions that are tailored to the internal partners in the SAP standard, implement them independently in Customizing, or jointly develop solutions for in-house developments and interfaces with developers or SAP as the operator of Ariba. In this position, you will also support our partners in 3rd level support and in the further development of their solutions in the affected SAP functionalities. With your networked thinking and your open way to tackle things, you build a bridge between the IT and the various departments. Challenging tasks await you in an agile and dynamic work environment with attractive working conditions, advanced training opportunities and beneficial benefits.